On behalf of everyone here at AES Warrior Run, I would like to extend our thanks to you and your company for the work that was performed during our 2013 Outage. We were very pleased with the dedication that you put into making this Outage a success. As you are aware, it was our goal to complete the outage in a timely manner, with quality workmanship, but without compromising doing the job safely. Your professionalism, commitment to safety, and willingness to work together with us in order to accomplish that goal was appreciated. 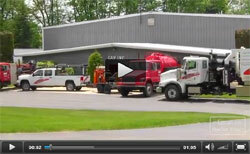 GAP has been our independent contractor for industrial vacuum services for the last five years. During this time, GAP has given us quality service at the most economical rates for the amount of work that is produced. When GAP employees are on our site, they work within the guidance of our safety program. During the time GAP employees are on our site, they have their own safety program in place and it is strictly followed. For example, GAP employees do their own confined space entry tests in conjunction with our facility tests. GAP also uses equipment that is in excellent working condition. This speeds up the jobs and ensures safety and high production. The GAP employees have been excellent workers and are self-directed. They need minimal supervision after the job briefing has been done. During the last five years GAP has always arrived quickly when called for emergency services. All of the services that GAP provides all jobs are professionally done. GAP works hard to maintain their reputation of quality services. We have used GAP Inc. vacuum services on two occasions when installing an additional layer of catalyst in two different SCRs (once per SCR). GAP Inc. provided exemplary service and did it with no safety or environmental issues. They thoroughly scoped the job to be properly prepared, and they cam in prepared and motivated. Their crew did not have to be watched and continually told what to do. They know their job, what is expected of an excellent job, and they take ownership of having a successful project. If all the contractors that worked at our station performed with the same degree of safety and environmental concern and effectiveness, it would be wonderful and our job would be easy. We use GAP Inc. at many of our power stations and have used them at this plant for years plan on continuing to use them. We have tried less expensive vacuum services, but they turn out costing more because of the poor overall performance and lack of concern for the work, which leads to more hours, complicating the schedule, and safety and environmental issues. I recommend GAP Inc. to support any SCR work. Cleaning of our Unit 6 Economizer Hoppers was a key activity to allow start of demolition work during this SCR tie-in outage — one of, if not the largest fossil outages in Dominion history. When DeWayne Misner said our six economizer hoppers would be cleaned in seven days, I was doubtful. But once the GAP crew got started I felt pretty confident it could be done, and maybe even beat the seven days. However, never in my most optimistic dreams did I envision the job being completed in two-and-a-half days! DeWayne, Sonny Reynolds, Marlin Myers and the GAP crew did a GREAT job — not only in getting the hoppers clean, but also in doing it safely (our main concern) and working around all the other activities going on in the area and the environmental opportunities encountered. This letter is to commend Dewayne Misner and the GAP Team on the work they have completed for us this year. Their attention to safety, productivity, quality, and cost control has been excellent. Dewayne and his team required little, if any, direct supervision, and they had a very good knowledge of power plants and working in a power plant environment.